Well, well, well, this post wraps up a YEAR of Amanda and I doing Thirsty Thursday posts. We wanted to take things full circle and end the year that started it all… apple. I can’t believe it’s actually fall now. I’m so not ready for it this year, mainly because the faster time flies the faster this baby is here. We’re at the 2 months to go mark. 2 months! So while that is a teensy bit exciting/stressful I’m just going along with it every day. Every day the mornings are getting a bit cooler and crispier. Every day I long to go apple picking and to ultimately make tons of apple based recipes. Every day I long to get my hands on a bag of those delightful cinnamon and sugar coated apple cider donuts. No really, a bag. And I’m not sharing. Nope. 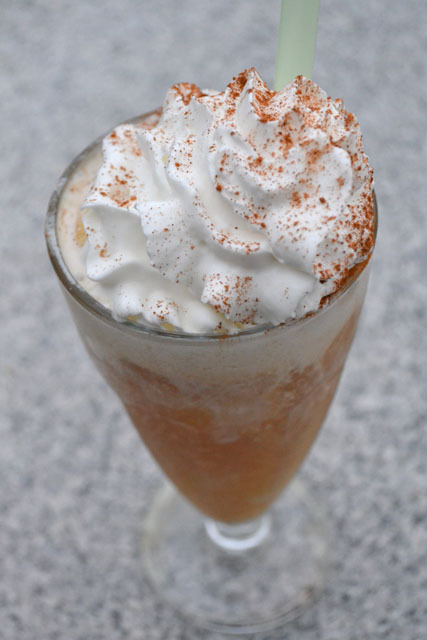 I swear you won’t want to share this Apple Cider Float either. It’s such a great way to enjoy fresh cider. Hello, ice cream on top!! It’s super simple with just a few ingredients so it takes, oh, .7 seconds to whip up and then you’re on your way to fall bliss. Amanda has made a Caramel Apple Cider, which I’m dying to try. Caramel Apples are just the best (sorry candied apples- meh!) so I would just L-O-V-E this. Ooo maybe get some hot fresh apple cider donuts from the farmer’s market too and… I have a problem. 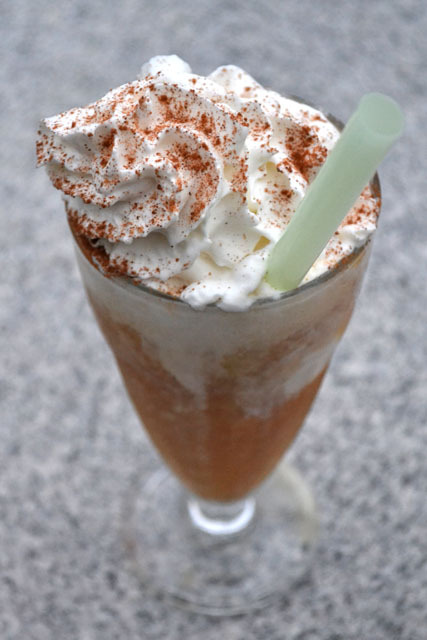 For each float, pour the cider into a glass, preferably a milkshake glass. 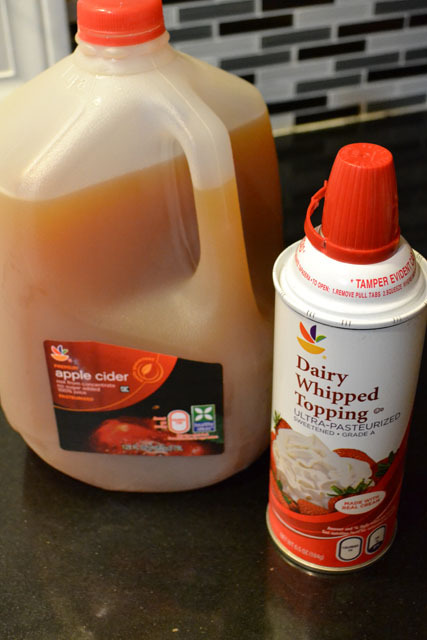 Add the scoop of ice cream on top of the cider. 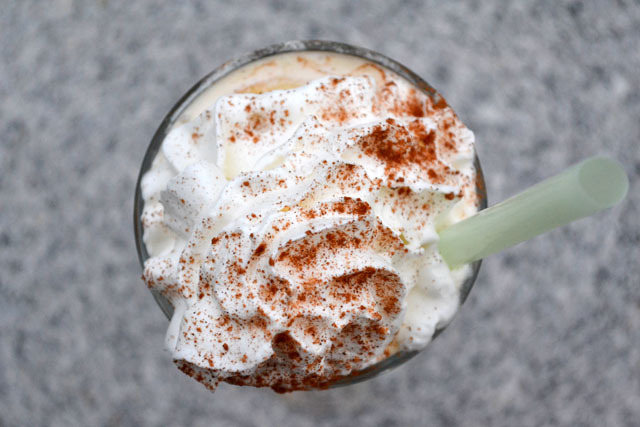 Top with the whipped cream and sprinkle on a the cinnamon and nutmeg. I have a love hate relationship with 3 day weekends & 4 day weeks. It’s great to have the extra day for the weekend but what it really means is that I still have 5 days of work to do in 4 days. See my issue here? This week’s Thirsty Thursday theme is TEQUILA!!!! Clearly, Amanda picked it 🙂 Well, I don’t mind at all, well Price doesn’t mind since he gets to enjoy whatever I mix up. 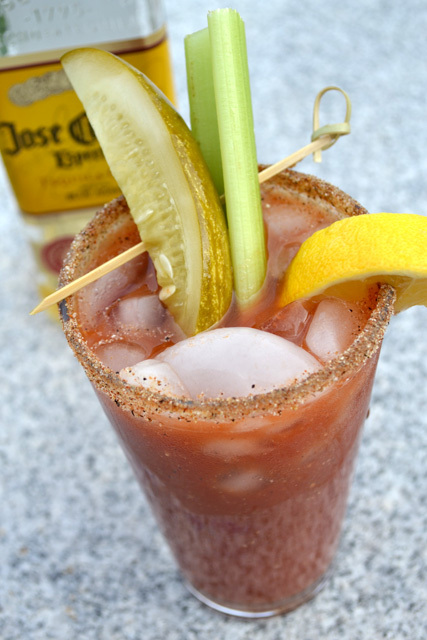 And after thinking of several drinks I ‘settled’ on a Bloody Maria since one of our favorite drinks is a Bloody Mary. About 5 years ago, Price spent a semester living in a trailer on a Salvation Army camp in Biloxi, MS a year after Hurricane Katrina helping design and rebuild homes. Since I was still up in Boston in school and he was in Biloxi we decided to meet up in New Orleans the one chance we had to see each other for his birthday in September. Well, it was such a great weekend together drinking Hurricanes on Bourbon Street, eating beignets, and enjoying the best Bloody Mary’s ever. EVER. Price took the bus to NOLA a few more times for some weekends away from that lovely trailer next to the railroad tracks… seriously. Well, during his visits to New Orleans he would basically set up shop at The Old Absinthe House and drinks Bloody Mary’s from Dawn the bartender. Hands down the best Bloody Mary’s we have ever had so we constantly try to recreate them from the recipe that he got out of her. In this case I made some adaptations from our favorite recipe to best go with a kick that comes from tequila. 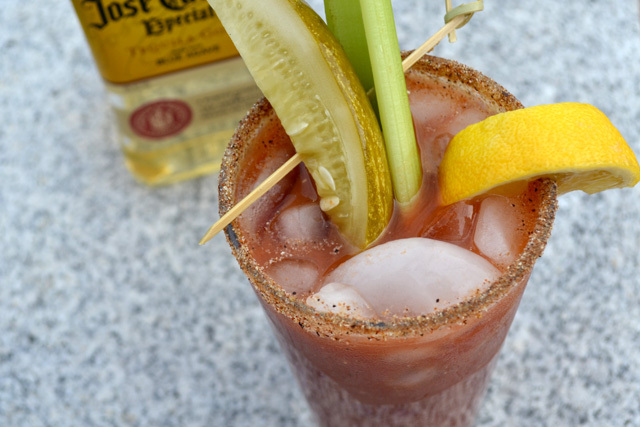 A spicy tomato juice base, some bite from the Dijon, and a spicy rim all do wonders for this Bloody Maria! Amanda recently really hurt her finger so she soothed the pain with a few of these Guanabana Margaritas. I think it was a smart move… hold an icy glass filled up with a fruity margarita. Good strategy. Plus Guanabana sounds so interesting and yummy. Gotta try it! Equal parts of black pepper, garlic salt, celery salt, chili powder. 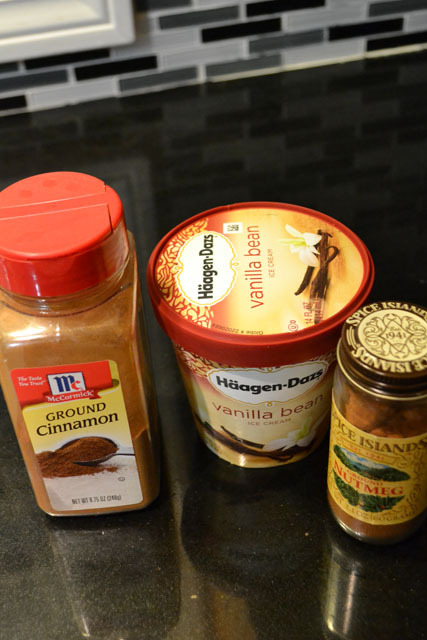 Mix together all of the ingredients for the rim seasoning in a bowl, set aside. 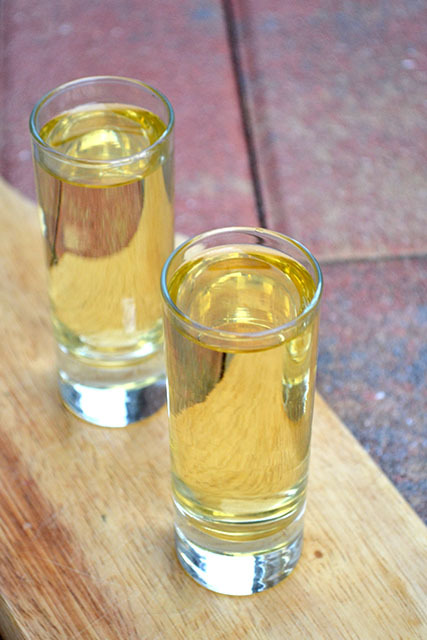 Combine the tequila, mustard, pickle juice, Worcestershire Sauce, and lemon juice, mix well. Take the lemon wedge and run it around the rim of the glass. Flip the glass over dipping it into rim seasoning. Pour in half of the ice, tomato juice, and tequila mixture into the rimmed glass. Stir to mix. 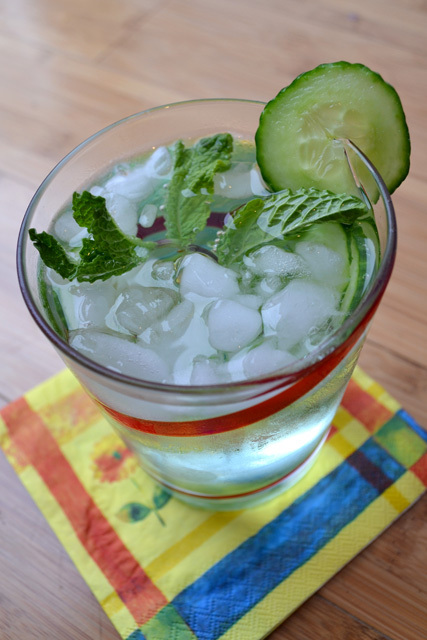 Garnish with the celery, pickle, and lemon wedge. So there is an ice cream truck that has been taunting me every night since it drives right down our block. It alternates between playing “pop goes the weasel” and “la cucaracha”. We live in a Hispanic area so the later song selection makes sense. Amanda, mom of 3 super cute boys, picked this week’s Thirsty Thursday theme for us… Mother’s Day! And just like that it reminded me that Mother’s Day is this upcoming Sunday. It’s like Easter in that it moves around, so I loose track of it.